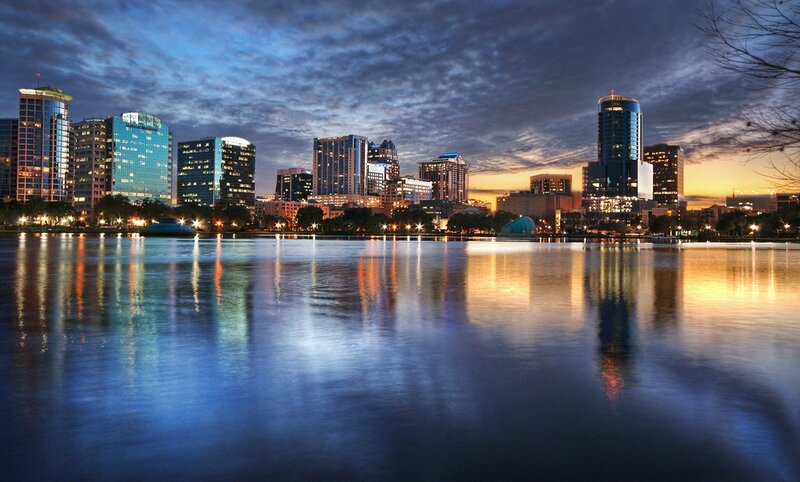 Owing to its picturesque beaches and rapidly improving quality of life, Orlando, FL is proving to be a secure real estate investment destination for not only local but also international investors. With an average rental of $1,599, the Orlando real estate marketis expanding at a great pace and people from all over the country and even beyond are either choosing to move permanently or invest here. Compared to other cities with competitive real estate markets, Investing in Orlando housing market makes more sense since it has experienced a 6% increase in property prices in a year. According to Zillow, the first-time buyers in the U.S. looking for an affordable home without much competition may have the best luck in the State of Florida, with Orlando real estate market ranked high in the Top 10 best cities for first-time home buyers in 2018. On Zillow.com, the median home value in Orlando is $230,300. Orlando home values have gone up 8.6% over the past year and Zillow predicts they will rise 5.3% within the next year. The median list price per square foot in Orlando is $148, which is higher than the Orlando-Kissimmee-Sanford Metro average of $144. The median price of homes currently listed in Orlando is $282,425 while the median price of homes that sold is $232,300. The median rent price in Orlando is $1,591, which is higher than the Orlando-Kissimmee-Sanford Metro median of $1,575. As per Redfin.com, the Orlando housing market is very competitive. Homes in Orlando receive 1 offers on average and sell in around 19 days. Hot homes for sale in Orlando can sell for about list price and go pending in around 6 days. The average sale price of a home in Orlando was $240K last month, up 15.7% since last year. The average sale price per square foot in Orlando is $141, up 10.2% since last year. As per the data given on Movoto.com, the median list price in Orlando is $299,500. The median list price in Orlando went down 2% from September to October. Orlando’s home resale inventories is 3,183, which increased 3 percent since September 2018. The median list price per square foot in Orlando is $154. September 2018 was $154. Distressed properties such as foreclosures and short sales remained the same as a percentage of the total market in October. Orlando real estate market has a high potential for growth considering the current state of its economic expansion and population influx. This market currently has an ideal environment for US investors in housing properties especially for turnkey real estate investments. We also recommend Tampa FL real estate market for turnkey rental property investing. The real estate in Tampa Florida has been estimated to grow rapidly during 2018. Investors are recommended to buy properties now and hold on to them until good price appreciation for maximum return on investment. 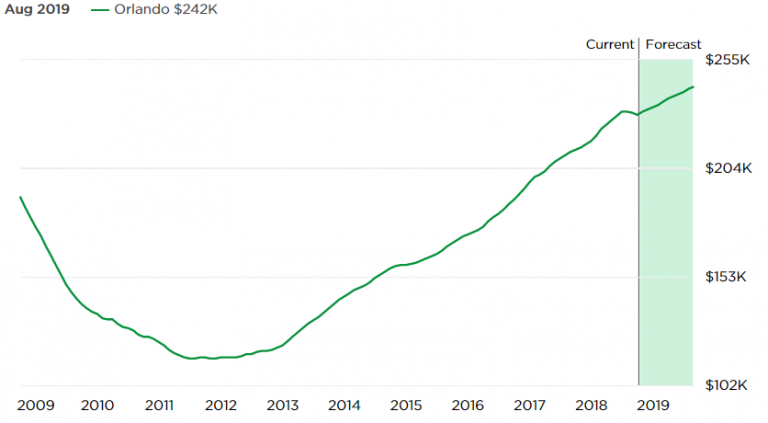 The Tampa FL real estate market has been seeing constant development for the last two years, a trend that does not seem to be stopping any time soon. Tampa has the headquarters of four Fortune 500 companies which makes it a moderately attractive city for work and economic growth. In addition to this, many entrepreneurs and small businesses are also making way to Tampa for search of better prospects and lesser expenses for running their start-ups. Acquiring residential spaces is one of earliest priorities for such professionals when they move here. Tampa, FL has a very diverse economy with financial services, STEM, health care, research, education, tourism, beaches, and military bases all making significant contributions to jobs and growth. These all factors make Tampa housing market a hot destination for real estate investors in 2019.